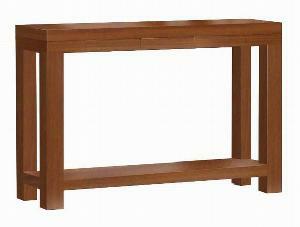 AS-012 : Rectangular console table made from solid mahogany wood with kiln dry already. We guarantee for quality and durable. Smooth finishing with color available : Light brown, dark brown and medium brown. Size : 110 x 30 x 78 cm.